Paul C. Peters, Jr., MD and the entire staff at the W.B. Carrell Clinic welcome you as a patient. 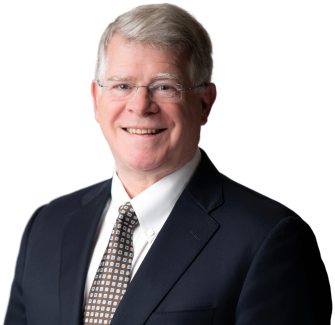 Dr. Paul Peters is Board Certified and competed a Fellowship in reconstructive hip and knee surgery with nationally renowned orthopedic surgeons, Dr. Charles and Dr. Gerard Engh. The author of numerous scientific papers, he frequently lectures to medical audiences on reconstructive hip and knee surgery with special emphasis on the host response to implanted materials. Dr. Peters’ goal is to restore the normal activity level of both the young and old patient receiving a joint replacement. Dr. Peters is an advocate of using less-invasive techniques, and better materials for the active patient with a hip or knee replacement. Since 1992, Dr. Peters has performed hundreds of reconstructive hip and knee surgeries each year in Dallas, with patients traveling from many places in the USA and throughout Texas to seek his services. Dr. Peters is happy to have you as a patient. Please call our office to schedule an appointment or let us answer any questions that you may have.